Every POGO Board is truly unique and holds a story all of it's own. A POGO Custom Board Workshop gives you the possibility to create your very own unique board and be part of it's story right from the very start. Our professional support and a very special connection to your new dream board are guaranteed. 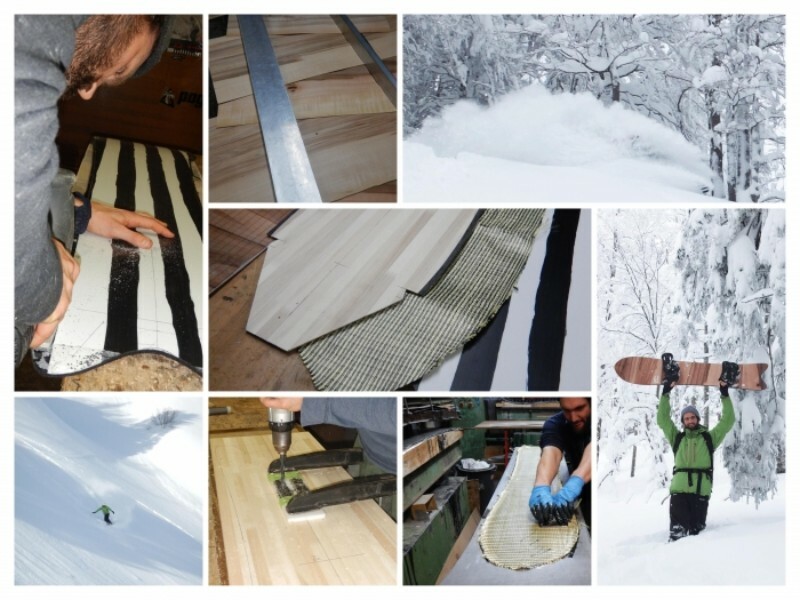 Define your dream board shape, prepare the materials accordingly and finalise the design. This will all happen in our charming board farm manufacture space. Wth the preparations being finished, we heat up the press and soon the main thing is done. And after cutting away some material leftovers you can admire your board in it's final form for the first time. While you prepare for your first ride, we treat the board with a proper POGO finish. Powder can't be guaranteed for your first ride, but we definitely know that you will experience a lot of great moments and adventures with your new best companion. Interested? Call us, drop us a line or drop by and we will surely let your dream come true.